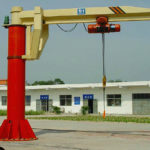 ELLSEN can supply jib crane exactly what you need, the jib crane also can be called jib hoist and jib crane hoist, and jib cranes supplied by us has a wide range of application, we can provide jib crane for sale including 1 ton crane, 2 ton crane, 5 ton crane and 10 ton crane. 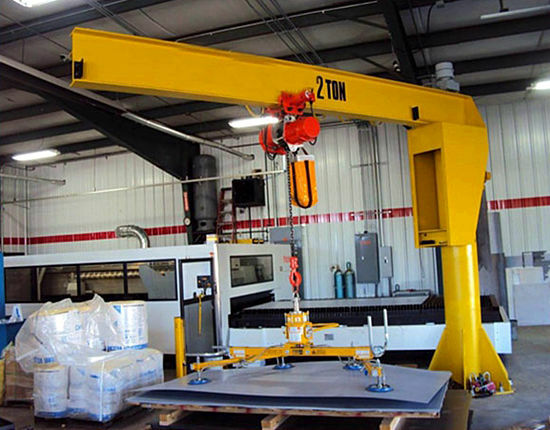 Jib cranes are manufactured with excellent materials, and our products are durable, so that you can use them for a long time with few mistakes. 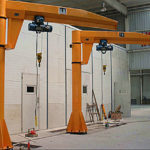 We also can supply different jib cranes installation for you in accordance with different sites, so that you can use our products anywhere, and there will be no location limitation using them. 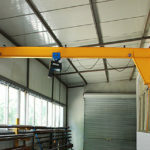 Jib cranes are often used with electric hoist to hoist goods, if you need the electric hoist, we can also supply it for you, they all have excellent performance in hoisting goods. 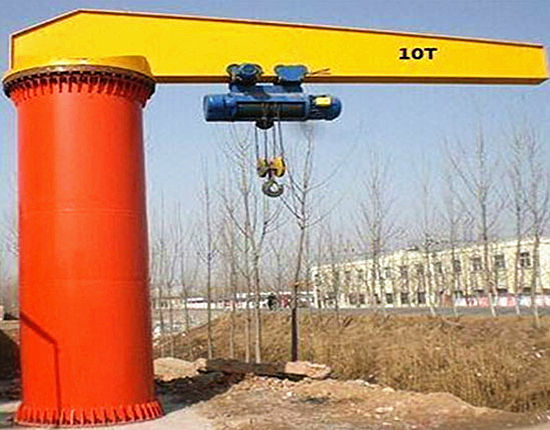 ELLSEN group is one of the best machinery manufacturers in China, we provide high-quality jib crane and excellent service for you, we have abundant experience of producing products. Believe me, choosing our products is absolutely correct decision, and we won’t let you down. Our company puts the customers’ interests at first place, and tries to create more convenience and profit. 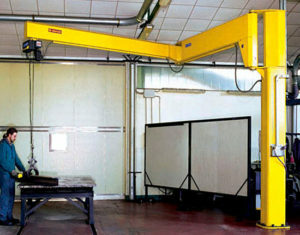 Our jib hoist has quite competitive price, because we pay more attention to jib crane cost at every part’s production. First of all, our products are all manufactured by our own factory, which helps us save a lot cost of finding other factory. Second, we sell our products by ourselves, and we are no middlemen, we can deliver products to you immediately after the products have been finished. Last but not least, our products are often needed to exported to the overseas, so our company has build relationship with some transport companies, these companies can give us quite good preferential treatment. In general, we save our cost from products’ production, sales to delivering. On the other hand, the fact that we try to save the cost does not mean that we will make products with poor-quality materials, because, when our products are needed to be delivered abroad, they will be received the strict inspection of relevant departments in our country, so our products are all have good quality, and we believe that only the high quality will win the trust of customers. Therefore I am sure you will get high-quality and reasonable-price products. 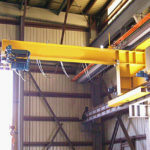 In addition, we can provide free installation service and after-sales service for you in some cases, we know that equipment maintenance needs a big spending, if you have this kind of free service, it can save a lot about jib crane cost. We have designed various types to meet different customers’ needs. 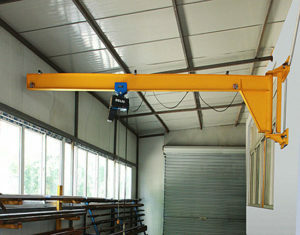 Jib crane types include wall mounted crane, wall-traveling crane, pillar jib crane, heavy duty jib crane and light duty jib crane. According to your construction site and goods’ weight, you can choose one, which is the most suitable for your requirements, if you are not clear about which type is suitable for you, you can contact us, we have professional persons to help you according to your requirements. 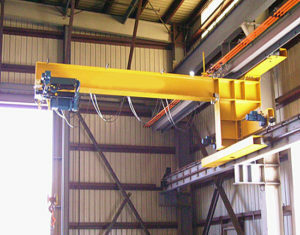 If you need other specialized jib crane types, we can design them in accordance with your special order. 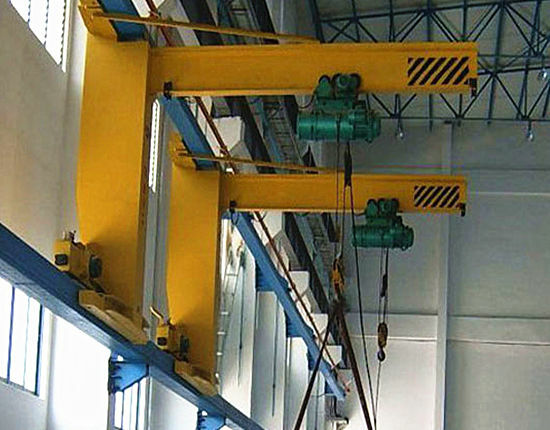 Although we have different jib crane types, every type can be installed easily, they have the characteristics of operating easily and efficiently, and every type has the same high-quality. Anyway your satisfactions are our best reward. 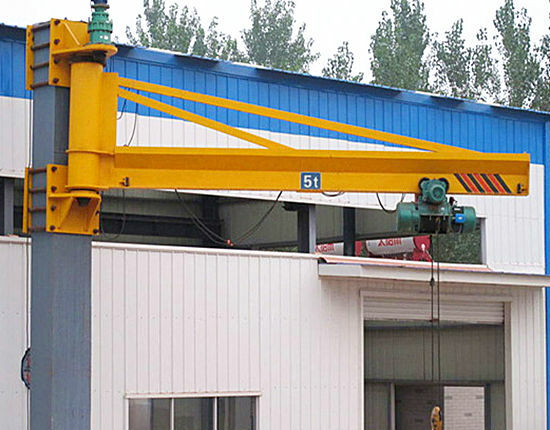 Our company has strict jib cranes design standards and specifications, because we believe that there will be high-quality products only with strict institution. In our company, we have introduced advanced testing equipment, we have trained a group of mechanics and we have appointed those who have advanced management experience. 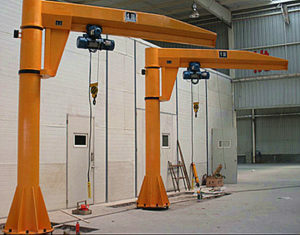 Our engineers have rich experience and sophisticated computer technology about jib crane design, they will design the drawings at first, and the drawings can be displayed with the computer with 3D mode technology, and the operations of every jib crane part can be seen virtually on the screen of computer, this way help us improve the jib crane design a lot. When you have bought our products, and you encounter some problems about our jib crane design in the process of using equipment, you can tell us, we have professional engineers to help you solve the problems, if necessary, our mechanics can go to the construction site to help you. Generally speaking, because of the professional mechanics and the advanced technology, the jib crane design can satisfy customers’ every demand with simple operation and efficient production. ELLSEN is one of the most professional jib crane suppliers, and our company is also a trade integration enterprise, we have five factories to supply the production, design, customized solution and after service for worldwide customers, we take “pushing the rise of Central China, serving the global customers” as our duty, and our products including crane, winch and hoist have exported overseas, and they have got great praise from our customers. Our products have high quality and good performance, because our company has the quality guidelines including scientific management, quality first, pioneering and innovation, and customer satisfaction, every one in our company keeps the quality guidelines in mind, and they persist in setting strict demands on themselves to manufacture good-quality equipment. In addition to the high quality, outstanding service is also a feature of our company, we can provide customers with detailed assists including, product’s selection, transportation, installation, and maintenance. In a word, ELLSEN, as a subsidiary company of AIMIX Group, is a trustworthy company for you and we guarantee you will get the excellent service in our company. 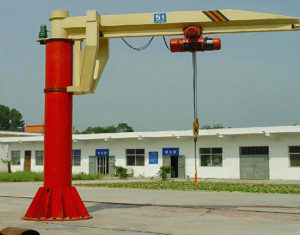 Just feel free to contact us if you are interested in our jib cranes for sale.